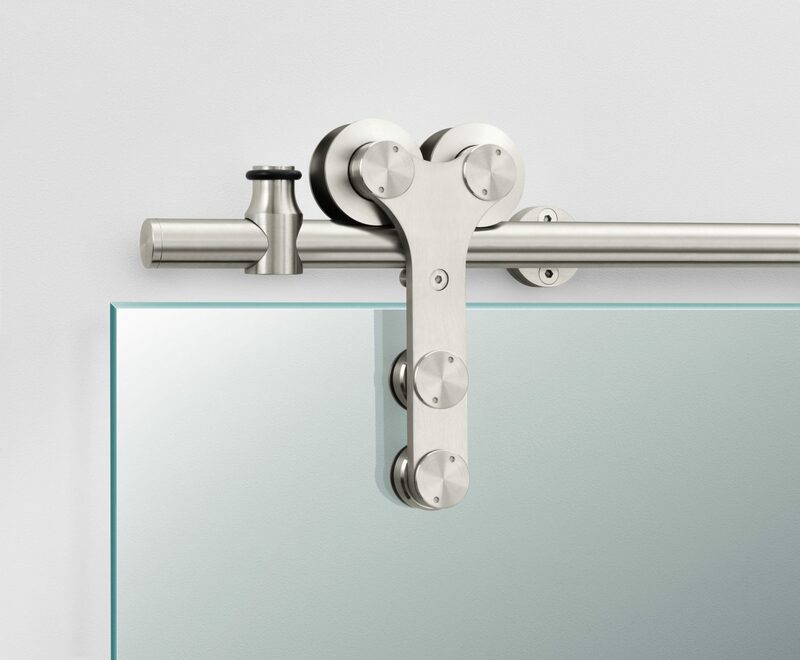 The Skyline Sliding Hardware system is the perfect sliding door hardware kit for those who want the refined look of stainless steel but need a sliding hardware system that can support a heavy glass door. The Skyline Sliding Hardware kit is based on the Tandum Sliding Harware kit, and is able to support glass doors that weigh up to 240 pounds. The Skyline Sliding Hardware kit features nylon coated wheels for quiet operation. Hardware kit sizes 6’6″ and 8’2″ ship in 2 to 3 weeks. All other hardware kit sizes ship in 3 to 5 weeks. Kit includes: hollow track, wallmounts, 1 pair of hangers, 1 pair of track stops, bottom guide and installation instructions.